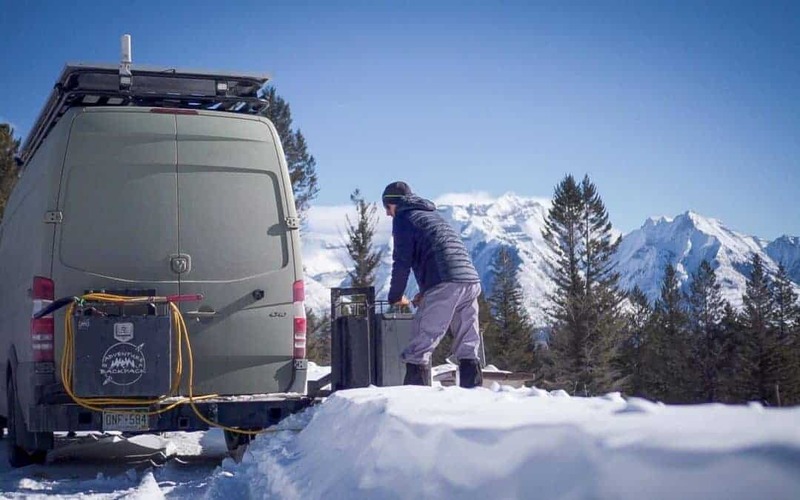 Finding overnight parking and camping near a ski resort is, surprisingly, a challenging task. Many places have city ordinances prohibiting overnight parking, many campgrounds close in the winter, and national forest dispersed campgrounds are inaccessible due to heavy snow. Finding free campsites near ski resorts is INCREDIBLY unreliable and after a full day of skiing, rolling up on a place your THOUGHT would be fine to stay overnight and be met with a huge ‘No Overnight Parking' sign is incredibly discouraging. This list includes free camping when available, but this list is a compilation of known LEGAL places to camp, most of which do impose a nightly fee (campground or RV park), and are prioritized by proximity to the mountain. 1/28/19: This list currently includes IKON Pass destinations in the North American West. The list will be updated in time. There is no overnight RV Parking anywhere near June Lake Ski Area. The entries under Mammoth Mountain in this blog post will be your next closest options. Winter Park allows free overnight parking in select parking lots. You must call (970) 726-1564 and ask for security to obtain a permit. PLEASE limit your stay to no more than 3-4 nights. There are no utilities here, so you must be fully self contained and be prepared to pack-it-in pack-it-out. Please leave your area cleaner than you found it so we can continue to be offered this rare luxury. Please call (970) 726-1564 and ask for security for more information. In California, especially Tahoe, the State SNO-PARK pass allows for some good low cost options to camp in vehicles self contained and cheap. I just checked it out and was able to verify this. Thanks so much for the lead. I’ll update the list. Cheers! Can you confirm Winter Park allows overnight parking in the winter? Seems like summers only, and their signage reflects this. We have slept in the hotel parking lot, but we were very discreet about it! You’ll have to call the number in the Winter Park section above and verify through them and get your permit. We were advised by their communications and PR director this is the proper channel to go through and we are simply relaying information we have been given by the resort itself. If they decline you, please let us know so we can keep our records updated.